Okays. I has ther results of your CAT scan. Ther goods news is thats you is still alives. Ther bad news is thats you is still a dogs person. 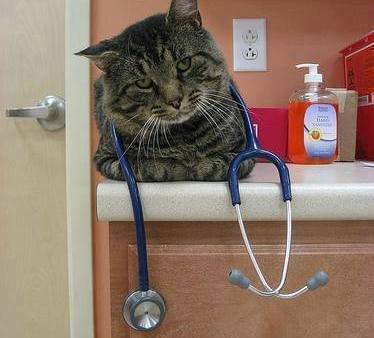 I is very sorry, we has no treatment for thats.